The sewing business covers a variety of related fields. You can focus on alterations and garment repair, to sewing custom-made clothes, costumes, draperies, curtains, and quilts. You can also work on embroideries, knitting, and crocheting. Some others concentrate on sewing bridal clothes, while others choose tailoring as their specialty. In addition to selling sewing services, you can also create products that you can market and sell. There are a number of sewing products with a ready market for your business, from tote bags, knitwear hats, and scarves, canvas cushions for outdoor and boats. Others make a living by producing custom upholstery, animal outfits, and unique pillow cases and bedding materials from antique fabrics. The market is wide open for anyone with creative skills and the knowledge of sewing. If you have a natural flair for sewing and find it easy to turn your hand to any sewing technique, then you should seriously consider starting to make money from your sewing. Custom sewing, also called custom clothier or custom dressmaker. Your task is to sew garments for individual clients. Custom Designer. A designer is a step above the dressmaker, as you sew for individual clients using your own designs, rather than sew from patterns. A custom designer may have wider market as you can sell your designs to stores and boutiques. Sewing for Weddings. Bridal business is big business. Many seamstresses make very good living focusing on the creation of wedding gown and wedding accessories. Sewing for the Home. Home decors and accents also provide a big market for the home sewing business. You can focus on sewing custom window treatments including draperies and curtains, slipcovers, specially-made pillows, shower curtains, bed covers and other bedding materials. Sewing Crafts ­ from shoulder bags to toys. Alterations. From sewing a seam to replacing a zipper. Alterations can be a profitable business as many people have something hanging in their closet that needs repair ­ and they have no idea how to do it. Sewing for pets. This is a growing segment, and you can create horse blankets, clothes for dogs and other pets. In choosing your niche, determine the area of expertise that you are most comfortable with and has the biggest market. While you may be quite accomplished and comfortable in several different areas, avoid spreading yourself too thin by taking on many different tasks. To succeed in this business, you must have the sewing expertise for your chosen field combined with adequate knowledge. If you are focusing on draperies, you must know the best materials, the latest styles and fabrics to create the drapes your client wants. If you intend to start a bridal gown sewing business, you must know everything about wedding gowns. Your sewing skills must be excellent, if not the best. If your work is less than superior, keep improving and constantly learn all the newest methods. When you are serious about your work and prepared to go the extra mile, you will succeed! Like any other business, you should also take the time to research and test-market your product or service ideas to determine whether your venture has a market potential. Writing a business plan, even if you are not seeking outside financing, is a crucial step to help you focus and think through your business. The exercise will force you to determine your client base, identify their needs and find ways to reach them. You will have to answer questions such as: where and how will you sell your products or services? Who is your competition? You will also need to find out about business permits, traffic considerations, sign regulations and lots more. Check if there are any zoning restrictions in your area that prohibits hanging a sign on your own property. Given that this is a people business where you really need to see your customers (e.g. fittings, consultations, etc), determine the rules in terms of traffic. Your neighborhood zoning rules may prohibit constant comings and goings of people in your house. In some cases, even though you think you are operating within the bounds of the law, your neighbors may find your business to be a disturbance and complain. To launch this business, you need a reliable and versatile sewing machine and other sewing equipment. If you don’t have the equipment yet, buy the best you can afford, even if it is second-hand. Good equipment goes a long way in making work easier (and more fun!) and in assuring good results. 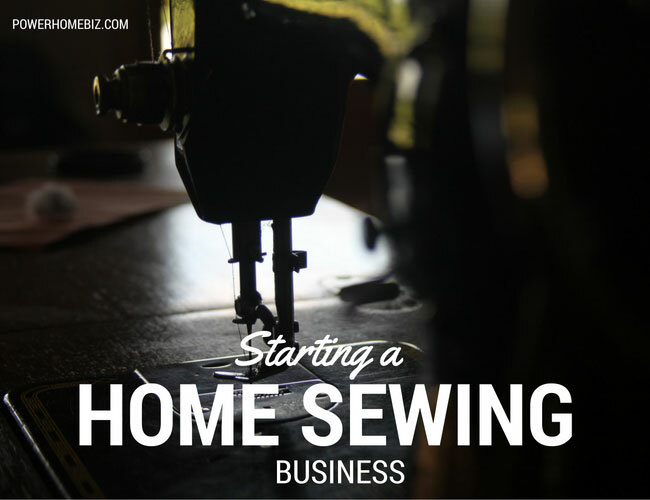 Your major investment for this business is the sewing machine. Sewing machines cost anywhere from $129 to $6,000, depending on its features. Check out the different brands and models, and what they can do and how well they function. There are now advanced computerized sewing machines that accept floppy disks or embroidery cards to create embroidery designs. Some have automatic needle threader, LCD touch panel, and machines that can create 5 different button holes. You may also need serger machines, which allows you to create decorative and construction overlock stitches on all types and weights of fabrics. This machine can cost anywhere from $300 to $1600. Another equipment you will need is measuring tape and rulers, shearing and cutting scissors, pattern markers, needles, threads, and others. You also need to purchase a full-length mirror to check on an individual garment and keep you aware of what looks well and what does not. Potential earning will depend on tasks and garments. Check out your competition or the prevailing rates in your neighborhood. You do not want to price yourself out of the market, yet you should strive to compensate yourself properly. Avoid giving your work away or pricing it too low. Charge enough that you are receiving a respectable hourly wage for your time plus a profit. For alterations, you may want to charge anywhere from $5-$30 per garment. Specialize costume creations can sell for up to $1,000, although prices vary for custom clothes. Evening gowns can start at $200 and wedding gowns can sell as much as $5,000, but children’s clothes may sell from $10-$50. The two most important considerations in setting your price are the time you think you will spend to complete the project and the cost of materials. Be sure to discuss all costs with your customer prior to beginning work, from the kind of fabric to be used, to the buttons and zippers. If you are making draperies, measure the area accurately and discuss with the client the amount of fabric that would be needed. Some clients provide the fabric, while in some cases you will be tasked to choose the material. Consult with the client every step of the way to avoid conflicts and unsatisfied clients. Draw up contracts for costly jobs. Once you line up enough business to keep yourself busy, you can expect to earn $20,000 to $35,000 per year. 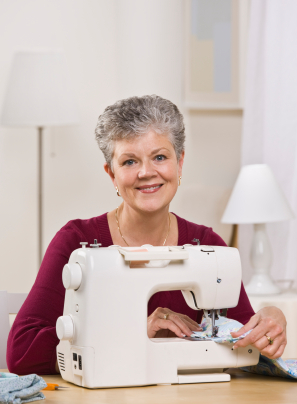 An experienced seamstress with a solid client base can earn as much as $60,000. You can exceed this range if you hire employees to do the work while you’re out marketing your business. Word-of-mouth advertising is often the most effective way of spreading the word on a sewing business. You do a good job for one client and the word spreads. It will be slow at first, but once you get going, you will begin to get repeat work and referrals. Other ways to advertise include running your yellow pages ads or posting on community boards. You can also leave your business cards and/or flyers in fabric shops, beauty salons, grocery stores, resource centers, senior centers, and cleaners. Contact charity organizations and lend your sewing talents to charitable events. Get in touch with local theater groups that may require your services for any costumes or set designs. By attending craft fairs you will be able to network and meet potential clients. You can also establish partnership arrangements with your neighborhood cleaners. In the past, most cleaners kept an on-staff seamstress or tailor, but now most cleaners farm out this task to sewing services. To reach retail cleaners, you simply call around to find out who needs your services. When you work with a cleaner, you will need to schedule regular times each week (probably twice per week) when they can expect you, so customers who need alterations can meet you at the store. The sewing business is creative, enjoyable, but stressful. There are deadlines to be met, and difficult customers to deal with. Some jobs may require a great deal of attention to detail and time and your income potential is hampered by the number of outfits you can produce in one day. For this business to grow and allow you to earn more, you will need to hire additional workers. Nonetheless, sewing can be a fun and rewarding business for those who loves to sew. Sewing business has become one of the most widespread service business today. 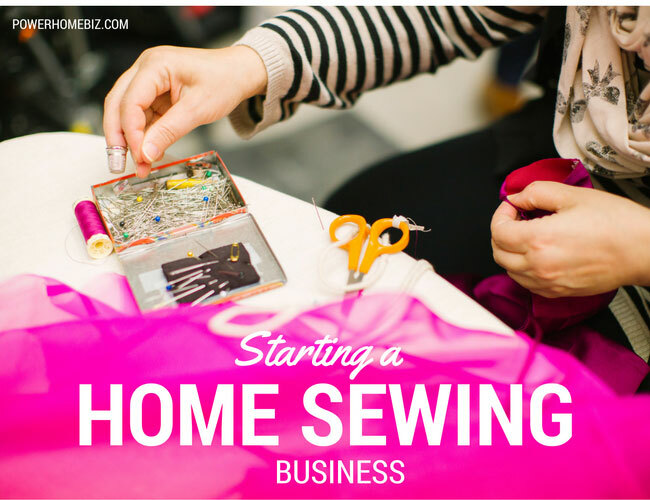 If you enjoy sewing, learn how to start a profitable sewing business from home. I’ve got some recommendations for your blog you might be interested in hearing. Either way, great blog and I look forward to seeing it develop over time. What a great article! It appears that you are very committed to your subject, which is a refreshing change of pace. I bet your content will soon get picked up by a major syndicate. I hope you know that people actually appreciate quality writing like this!